Resameokim Oyama, a third year student of Department of Mass Communication in Cross River University of Technology (CRUTECH) has advocated that authorities of the university should scrap payment of medical fees from the university’s fee schedule in order to make it easy for students to pay their school fees. Late payment of school fees has been a nagging issue in CRUTECH in recent years. Some months ago, the university published names of school fee debtors and the amounts they owed, in Nigerian Chronicle, a newspaper owned by the Cross River State government. That press release gave a deadline for payment of school fees and added that defaulters would lose their studentship and can only be readmitted if they apply afresh. Reliable reports from the university indicate that although no defaulter on school fees has been asked to leave the institution, the university ensured that only answer papers of non indebted students were assessed during first semester’s 2016/2017 examinations. Reports also indicate that the university’s Senate is yet to take a final decision on what to do with examination answer papers of indebted students. 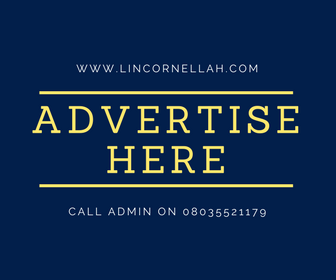 In addition, LinCornellah’s blog was reliably informed that the problem of late payment of salaries to staff of the university arises partly from the issue of late payment of school fees by some students. Usually, the university pays its staff from internally generated revenue in addition to what it receives monthly as subvention from the state government. School fees constitute the main bulk of internally generated revenue in CRUTECH. “Yesterday, an issue greeted good afternoon as I walked into my hostel room after classes. My poor roommate was terribly upset and was shouting all over the place. Apparently, she had just come from the school clinic and was treated really badly. According to her story, she was feeling really ill during her class and decided to seek medical attention at the school clinic. A sick student cannot study well. An attempt to speak on this issue with the Chief Medical Director of CRUTECH Medical Centre proved abortive, as he was said to be in a meeting, at the time of that attempt. However, a staff of that Centre stated that the Centre attends promptly to emergency cases and does not subject patients to further trauma. That source craved anonymity and stated that in cases involving patients who do not seem physically distressed, such patients are usually required to produce documents that properly identity them. The source explained that that measure is meant to forestall impersonation because CRUTECH has a host community whose residents sometimes impersonate students in order to receive treatment at the Medical Centre. The source said that in some cases, students also give their medical cards to indebted students as well as non students. Reacting to the advocacy on scrapping of medical fees in order to encourage payment of school fees, this source disclosed that the medical component of school fees in CRUTECH is N1,100.00 (one thousand, one hundred naira), adding that students who desire to pay school fees would pay such fees, with or without that sum of money. The source suggested that CRUTECH’s management should open an account dedicated solely for the medical component of students’ school fees. According to the source, the services of that Medical Centre would improve when funds in that account are remitted directly to authorities of the Centre, rather than to quarters that require bureaucratic bottlenecks, just to purchase desired drugs.